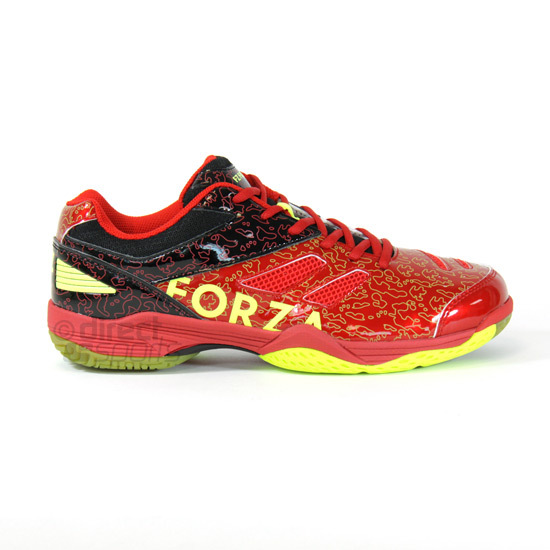 Forza Court Flyer Badminton Shoe is a badminton shoe with a dramatic design and a strong print. The shoe is showing individuality and personality. 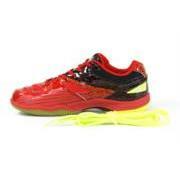 Using breathable mesh and strong PU material make it both durable and comfortable. 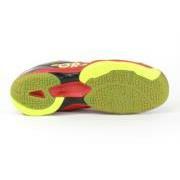 Drylex - Drylex consists of special mesh layer and holes in the shoe that provides excellent breathability for the feet. Drylex helps transporting moisture away from your feet to keep them dry and comfortable. Dura-Coat - Dura-coat is our high-tech microfibre PU treated with a thin coating. The combination of Dura-coat gives the shoe an extreme durability and a unique abrasion resistance. Dura-coat is applied on areas where the shoe is most exposed for abrasion. FZone - With our FZone Grip ensures excellent grip with the court which supports the slip resistance. FZone Grip consists of various patterns that support variety of movements in badminton, so the grip on the court is optimal in all game situations. 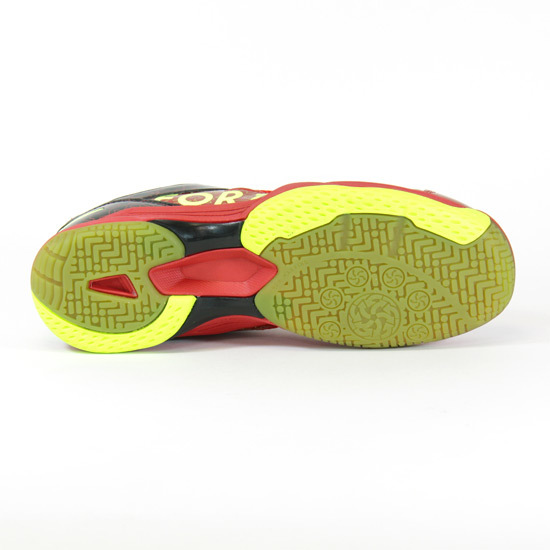 We only use rubber of the highest quality to our soles to ensure an extremely wear resistant outsole. 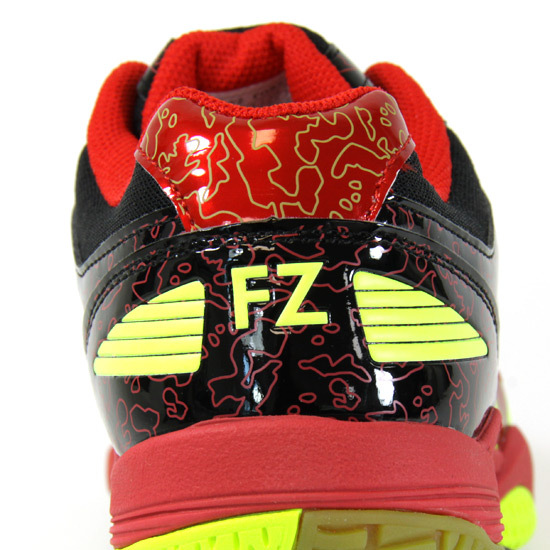 FZorb - FZorb is a fantastic material for shock absorption. 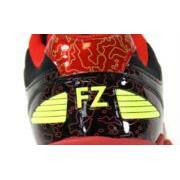 By molding the FZorb into the heel-area if the sole, decreases the many hard shocks that player’s feet are exposed to during the game, as well as providing increased comfort for the player. Tuck-Board - With our Tuck Board increases the shoe’s torsional flexibility. Torsional flexibility supports the foot’s natural movement and allows the foot to move faster. Our Carbon Tuck Board is made of three-dimensional carbon fibre sheets that support the torsional movement and reduce stress on the arch tendon.